Advent calendar up to the Epiphany. 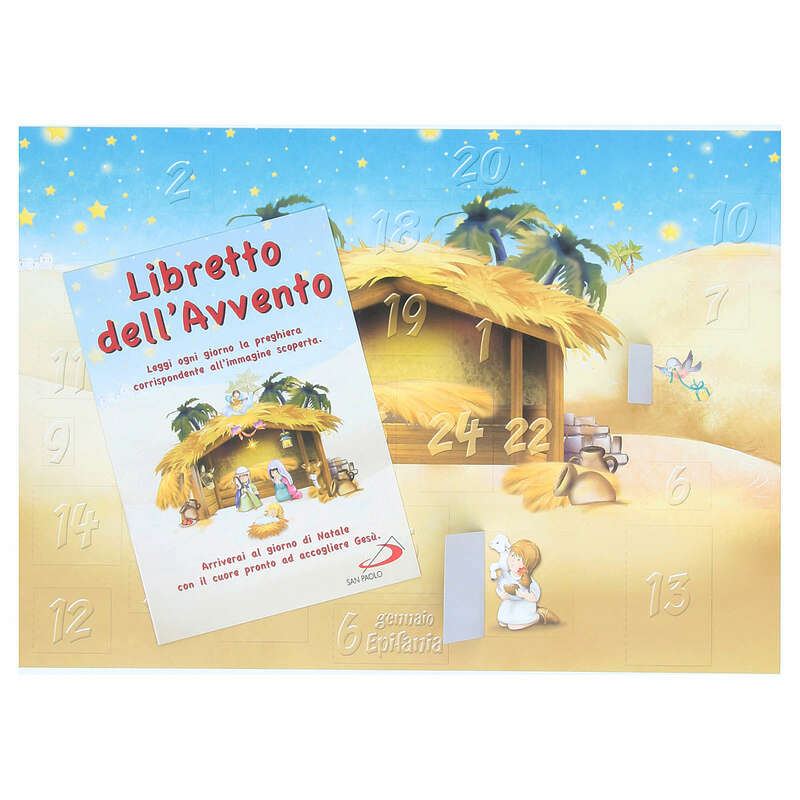 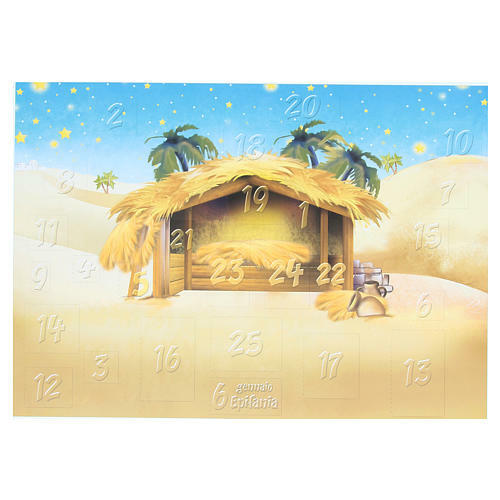 The traditional Advent calendar with windows, colorful and fun, to prepare for the best arrival of Jesus. 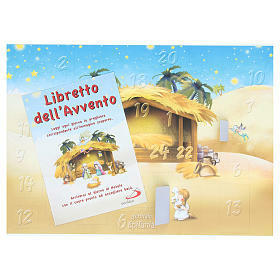 A booklet is attached to the calendar, which offers daily a small reflection dedicated to illustration under the window. The calendar accompanies us until the Adoration of the Three Wise Men.